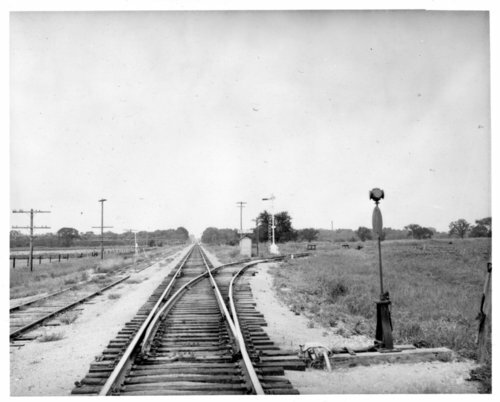 This photograph shows the tracks of the Atchison, Topeka, and Santa Fe Railway Company's BN Jct. near Burlington, Kansas. A box depot is in the background. The tracks were part of the Eastern Lines, Eastern Division, Third District at milepost 62.2 and Burlington milepost 0.0.